We’ve seen bigger laptop hard drives than Fujitsu’s latest MHZ2 BJ series – Samsung has announced a 500GB model, for example – but nothing quite matches it for the irresistible combo of both speed and capaciousness. The 320GB 2.5-inch drive boasts a 7200rpm speed, signifying the beginning of large capacity laptop drives matching their desktop counterparts for more than mere space. Handily for the ever-more conscious mobile arena, Fujitsu also cites a miserly power rating of 2.3W for the drive while active; the idle rating is a piddly 0.8W. Fujitsu has wheeled out analyst Gartner to point out the obvious. It reckons that 7200rpm mobile drives are where the bread will be buttered for the remainder of the year. 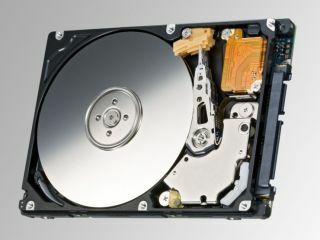 “We anticipate that 2.5-inch 7200RPM SATA HDD worldwide shipments will increase 90 per cent from 2007 to 2008. Fujitsu has set the bar by announcing the first 320GB HDD in this class,” eulogised John Monroe, research vice president at Gartner. Fujitsu isn’t just aiming the drive at laptops though, saying that speedier desktop-alike mobile drives could give rise to a new breed of thin desktops. Isn’t that essentially what a laptop has become, without the screen?